Jason spent the night last night, and most of today. While I love having the little sweetie around, I realize that I'm not used to having a little guy around. I have to watch him all the time. Before his mommy left him, she said something about giving him a bath. After dinner I checked the diaper bag to see if there was any baby shampoo - because I don't have any, not having babies in my house. I found the shampoo, pulled it of the diaper bag, and set it on the end table next to the diaper bag. 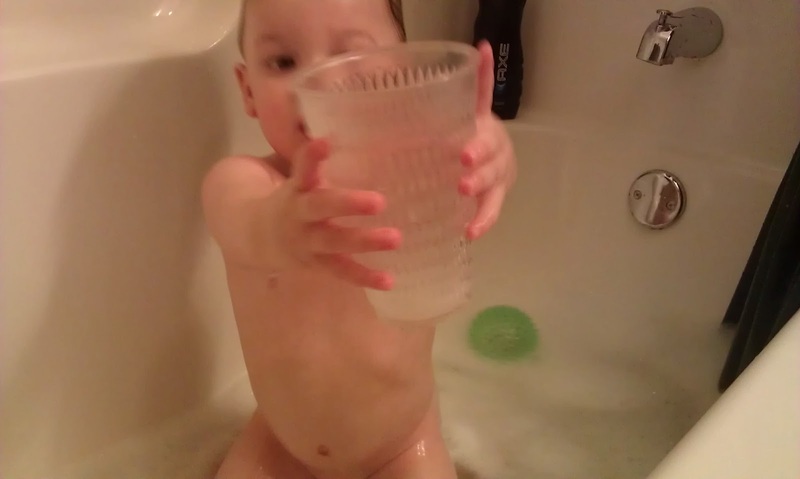 Then I walked into the bathroom to see about getting it ready for a little boy's bath. 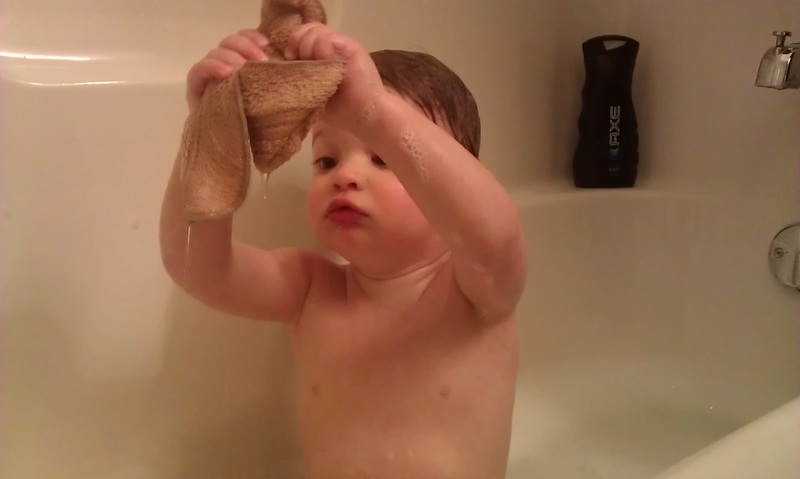 I quickly took the open bottle of shampoo away from him, sopped up as much of the shampoo as I could with a washcloth, and ran the boy a bath, using the washcloth full of shampoo to make it a bubble bath. Oh, and I put some bubble bath in, too. 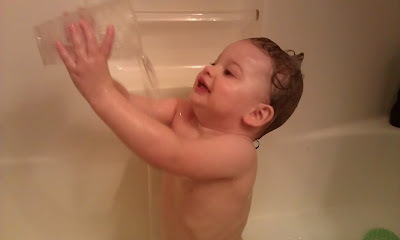 Then I stripped the little guy down and put him in the tub, and used some of that shampoo to wash his head. Then I let him play for a while. He had fun with the washcloth, the cup, and the ball, and he really seemed to like the bubbles. I just hung out with him and took some pictures. 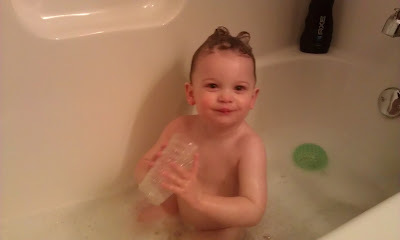 Is there anything as adorable as a little person in the tub?